As the fall semester comes to a close, it’s the perfect time to reflect on the past year, celebrate our achievements and look to the future. In commencement ceremonies today and tomorrow, more than 1,500 students will receive their degrees from Kansas State University. We take pride in preparing them to draw on their K-State education and experiences to help guide them in their path forward in life. We celebrate our graduates and all who had a role in supporting them! During the past year, we continued our commitment to support diversity and inclusion as a top priority. We explored the role of intercultural learning through our One Family initiative which resulted in numerous outcomes, including Wildcat Dialogues. The dialogues provided a foundation of community understanding for the new leaders of our restructured diversity and inclusion activities. As part of the restructuring, Bryan Samuel joined our K-State family in March as Chief Diversity and Inclusion Officer, a newly created position reporting directly to me. Adrian Rodriguez was named associate vice president for Student Life over diversity and multicultural student affairs last December. In October, during our second KSUnite event, it was uplifting to see the Student Union Ballroom filled to capacity with overflow crowds congregating throughout the Union to hear our speakers and show their support for unity at K-State. It was also a highlight to announce that we have raised more than $4.2M for a multicultural center on campus. Our goal is to graduate world-ready students who understand and value the power of inclusion and unity. In May, we were saddened by the disastrous fire at our beloved Hale Library. However, in true K-State style, our family came together to lend support in addressing the multiple tasks involved in the recovery of books and materials and in providing library services in temporary locations, all while getting our IT services back up and running. Several staff members who were new to K-State commented that they have never seen such teamwork in a time of crisis. Kudos to all faculty and staff for the extra hours and effort in making this happen. The demolition and cleanup of the facility is now complete and we have a clean slate to plan and rebuild the next-generation library for K-State. This summer we welcomed Chuck Taber as our new provost and executive vice president. He quickly and astutely assumed a leadership role in guiding and implementing our Strategic Enrollment Management and Budget Modernization initiatives — two initiatives that are key to our future success. 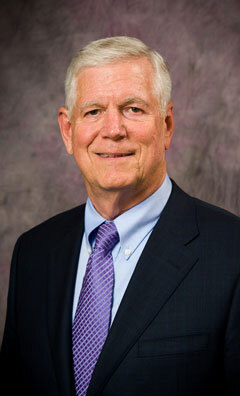 In the year ahead, we will also begin work on refreshing our K-State 2025 strategic plan. I would also like to recognize Coach Bill Snyder who announced his retirement earlier this week. We are deeply indebted to Coach Snyder. He brought K-State football to the national stage and built a program based on integrity, honor and his famed 16 goals for success. Family is important to Coach Snyder and he helped us recognize how important family is at K-State. His legacy will be cherished by K-Staters for generations to come. During this holiday season, please reflect on all of our accomplishments and resolve to go into the New Year with renewed optimism and spirit to solve our challenges and make K-State the best it can be for generations to come.